The first half of this service is a Psychic reading. 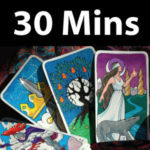 Psychic readings are generally on a one to one basis, these readings are unique to the sitter, where I try to connect with loved ones, friends and family. Although there are no guarantees who will connect with us on that particular day, I will do my best to contact your loved ones. 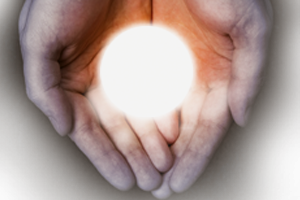 Please understand that your family have connections in the spirit world, and quite often they will all want to pop in to say hello. The second half of this service is a Tarot card reading. 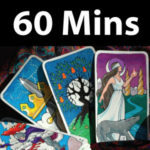 Tarot is one of the oldest forms of fortune telling known to man. 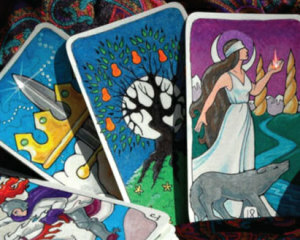 A tarot deck is a deck of cards, usually 78 cards, that is used by someone who is skilled in the reading of them. Depending on the type of reading that you are wanting to have, the reader will consult the cards to show them what you are needing to know.